The third collection arrives with no announcement. 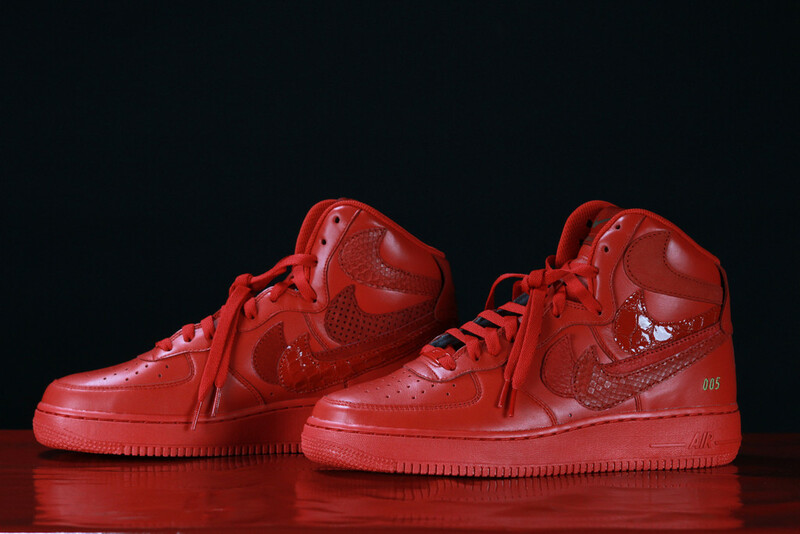 If there's a such thing as a custom Quickstrike, John Geiger and TheShoeSurgeon just made it happen. 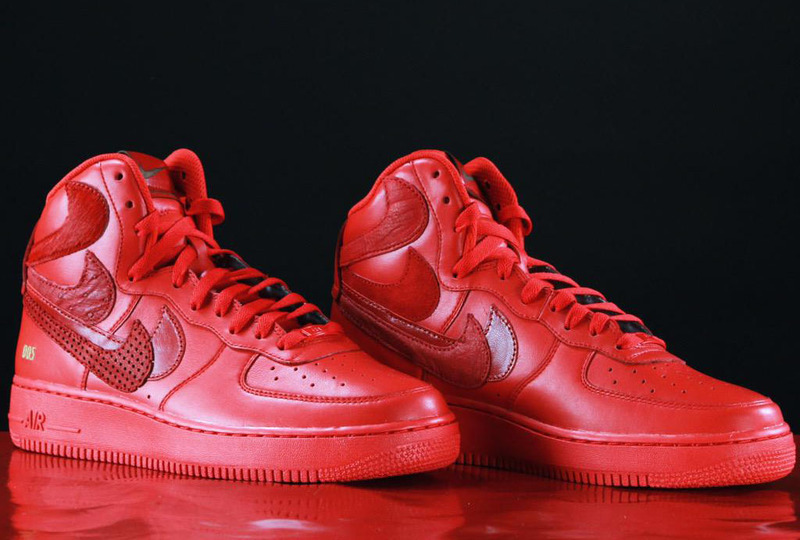 Following releases in white and black, the tandem just dropped a Red October-esque version of their 'Misplaced Checks' Nike Air Force 1 High. Sixteen tonal Swooshes have been added to the quarter panels in various premium leathers and exotic skins. Each shoe is also individually numbered on the heel. 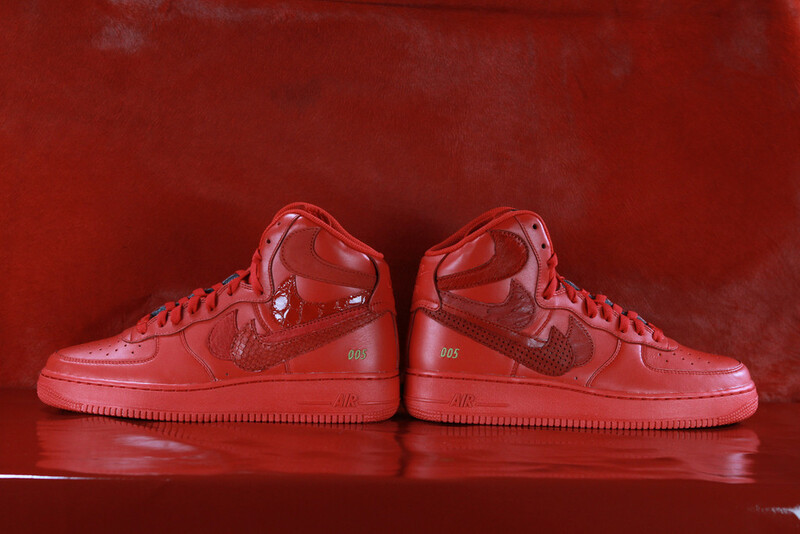 A limited run is available now for $550 at whathashedoneforsociety.com. According to Geiger, a larger run will be released in mid-June.